A “technology tsunami” is coming and it will be a great time to be alive! 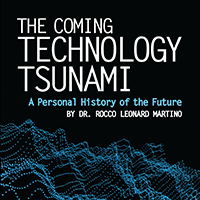 That’s according to our guest this week on BetterWorldians Radio, Dr. Rocco Martino, author of The Coming Technology Tsunami. Dr. Martino will share his predictions for how technological advances will change the world over the next decade for the better and how our listeners can best prepare. Dr. Rocco Martino is a world traveler as an international financial consultant, computer specialist, and space pioneer. He is the published author of five previous novels, and 26 non-fiction books. 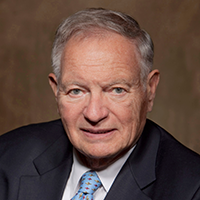 The inventor of the smartphone, Dr. Martino has been knighted by the Vatican, and has served on the boards of number international organizations. By training, Dr. Martino is a rocket scientist.